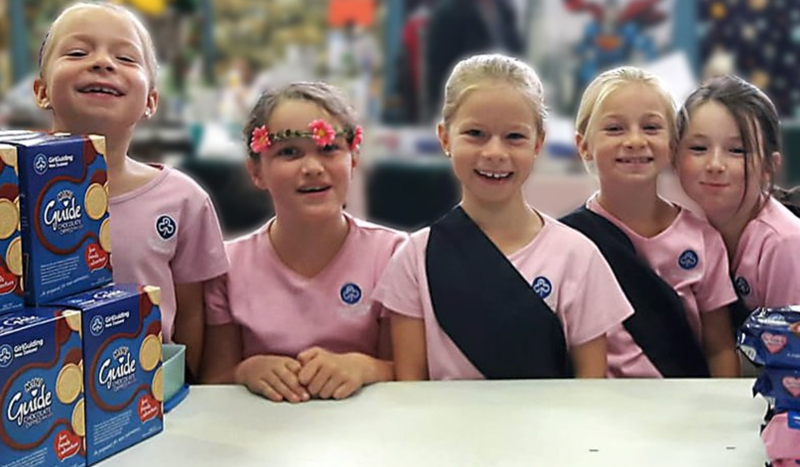 Final Spring Selling Season for Guide Biscuits | GirlGuiding New Zealand - You be the guide! New Zealanders have another chance to purchase packets of the iconic Guide biscuits now on sale around the country for the final Spring selling season. A biscuit tin staple for over 60 selling seasons, GirlGuiding New Zealand announced earlier this year that it was now moving its focus from fund-raising through biscuits to activities and efforts that inspire and empower young women. Following careful consideration and analysis, the GirlGuiding New Zealand Board decided to stop fundraising through the sale of Guide biscuits by its membership. “This is our penultimate biscuit season and we hope the public will get behind our members and volunteers who are raising funds for the organisation,” said GirlGuiding New Zealand Chief Executive Susan Coleman. “As we move into 2019 we will continue to evolve to support our mission of enabling girls and young women to develop into confident, adventurous and empowered leaders in their communities. “Our volunteers look forward to spending more time delivering a high-quality programme. Guide biscuits are baked in New Zealand by Griffin’s Food Company and it has said that it will endeavour to support GirlGuiding New Zealand in the future. The legendary biscuit will be available from a number of GirlGuiding units throughout New Zealand cities and towns until 12 October, as well as from the GirlGuiding biscuit website. They will be back for one last biscuit selling season in March 2019.